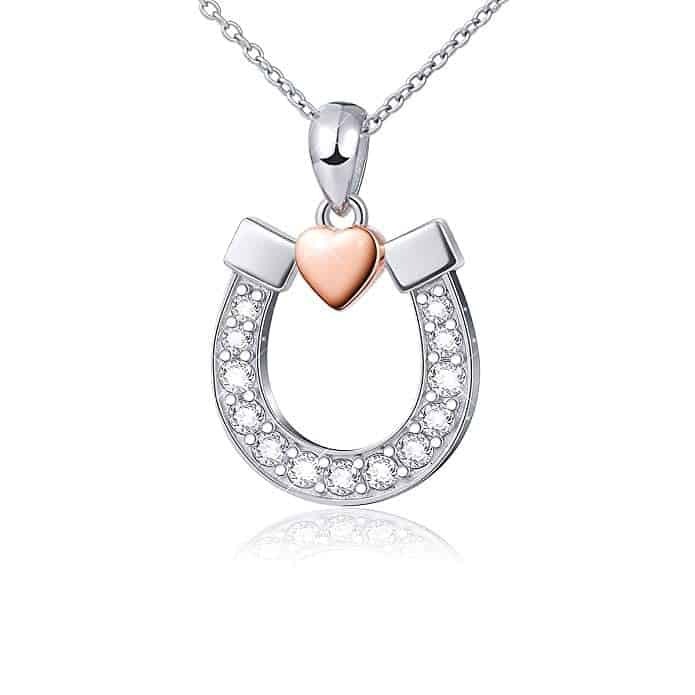 If your horse girl likes all things sparkly, then this is the perfect gift for her to wear proudly around her neck. Available here. 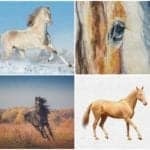 Does your horse girl wish she could run as free and fast as her beloved horses? Then this one speaks straight to her soul! Available here. 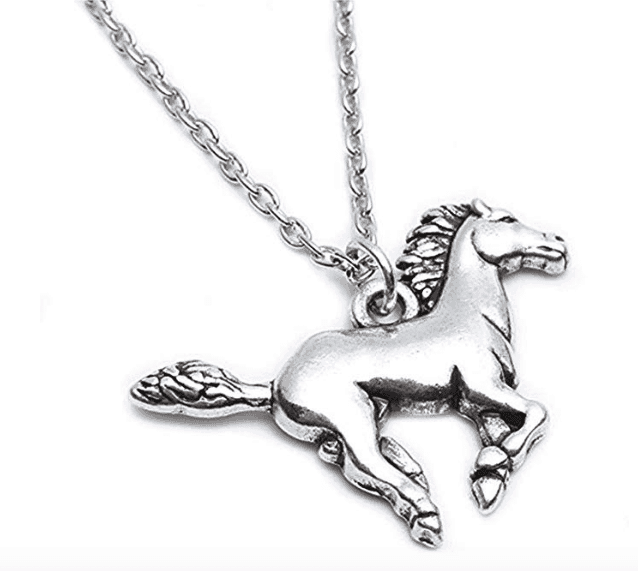 This gorgeous necklace would make a perfect gift for any horse loving girl who loves to ride. If you like it so much you’d want one for yourself, get two so you can match! Shop for it here. 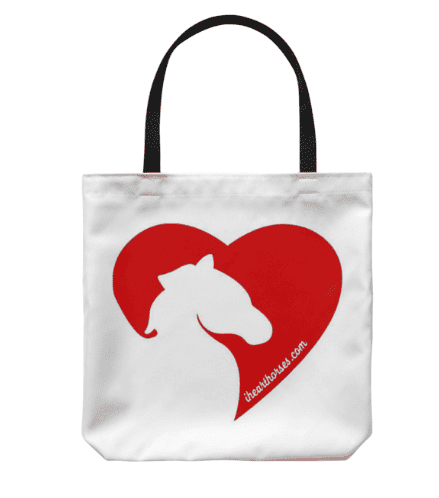 Looking for a horse gift for girls that they can keep close to their heart? Well, look no further! 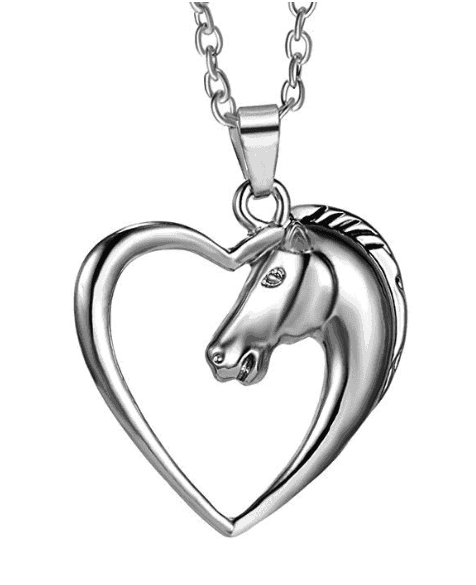 This stunning horse and heart is expertly crafted and made of high-quality alloy. Available here. 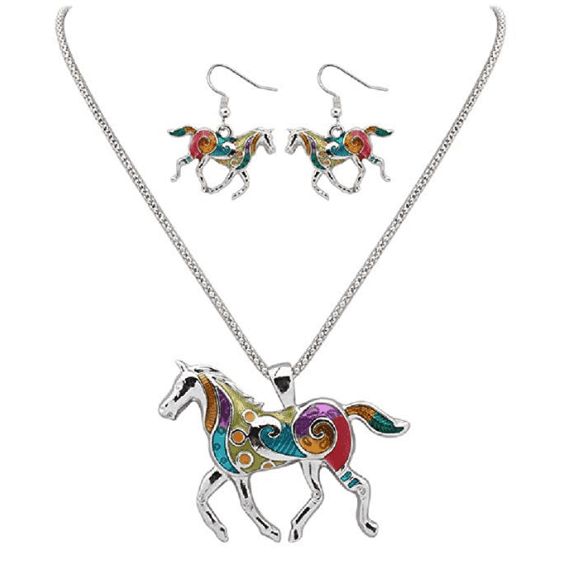 Looking for a matching set of equine earrings and a necklace with a playful pop of color? 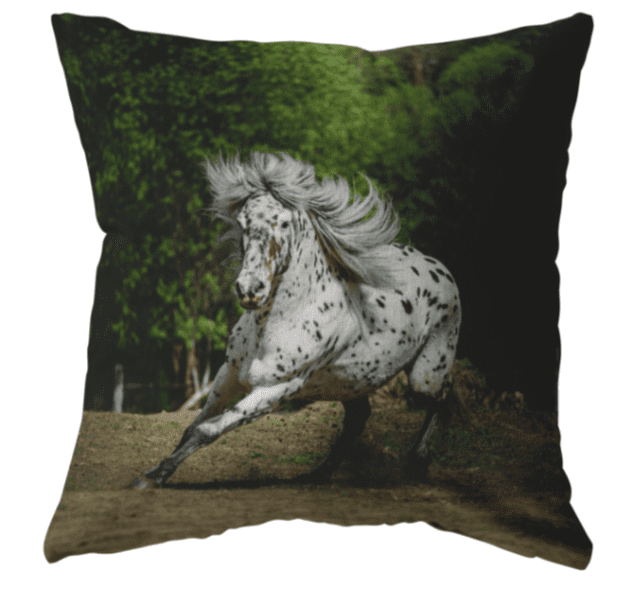 Then this is perfect for your horse girl looking to show off her horse pride. Available here. 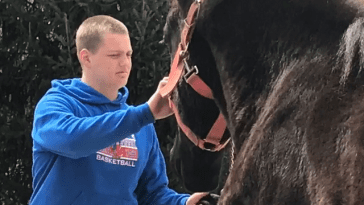 Does your little horse girl love horses and unicorns? 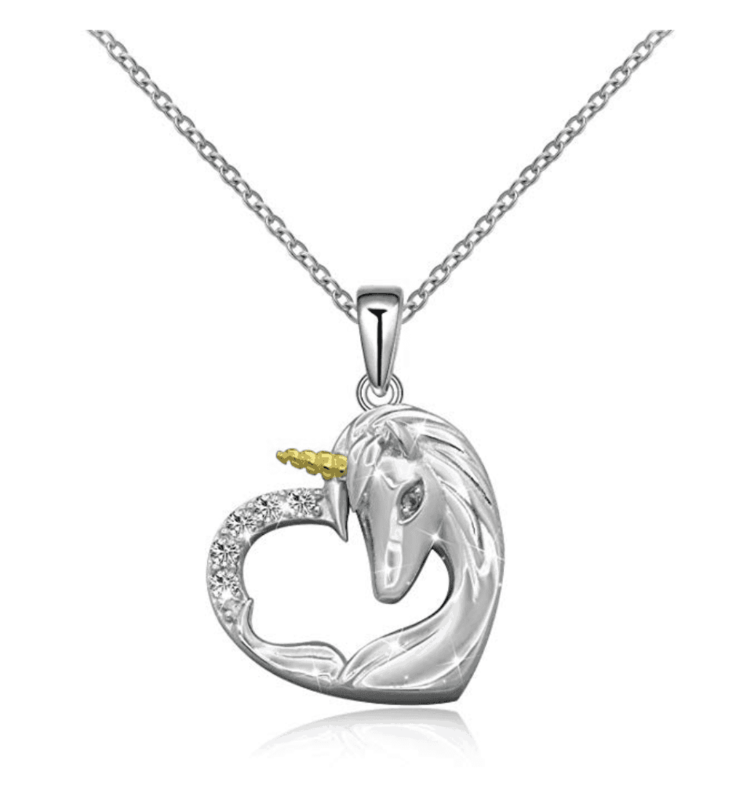 Then she’ll love this bedazzled charm of magical unicorn. Available here. 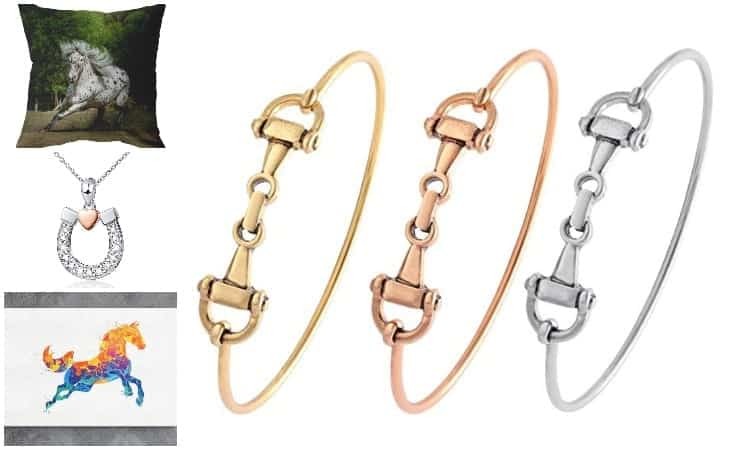 Whether your horse girl is into gold, silver or rose gold, this beautiful bracelet will look perfect on her wrist. Available here. 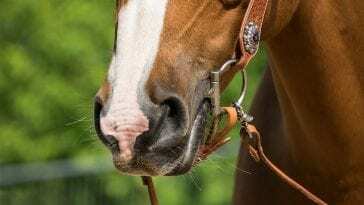 Does your horse girl spend most of her time in the saddle? 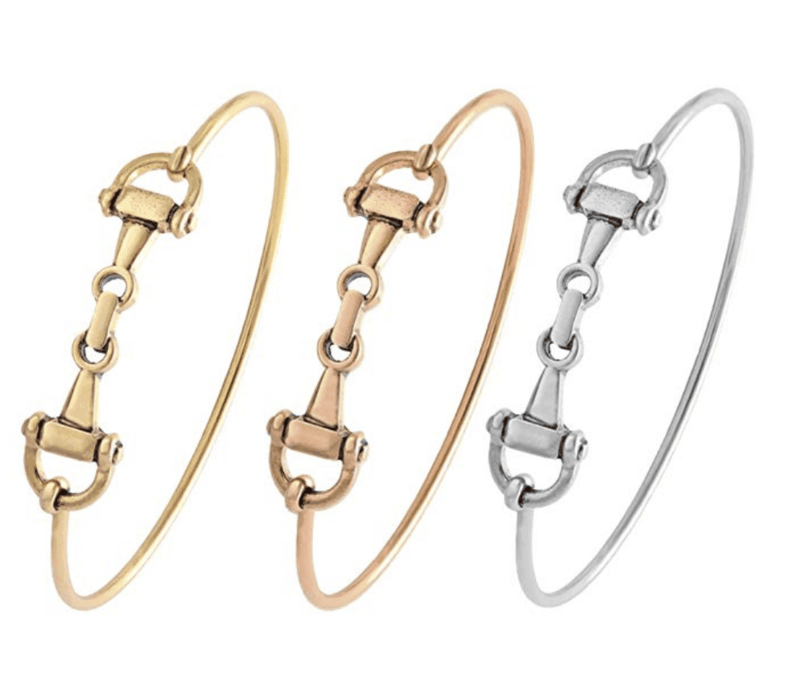 Then this bracelet is the perfect gift for her! Available here. Thinking of horse gifts for girls that can also teach them a thing or two about the animals that they love the most? 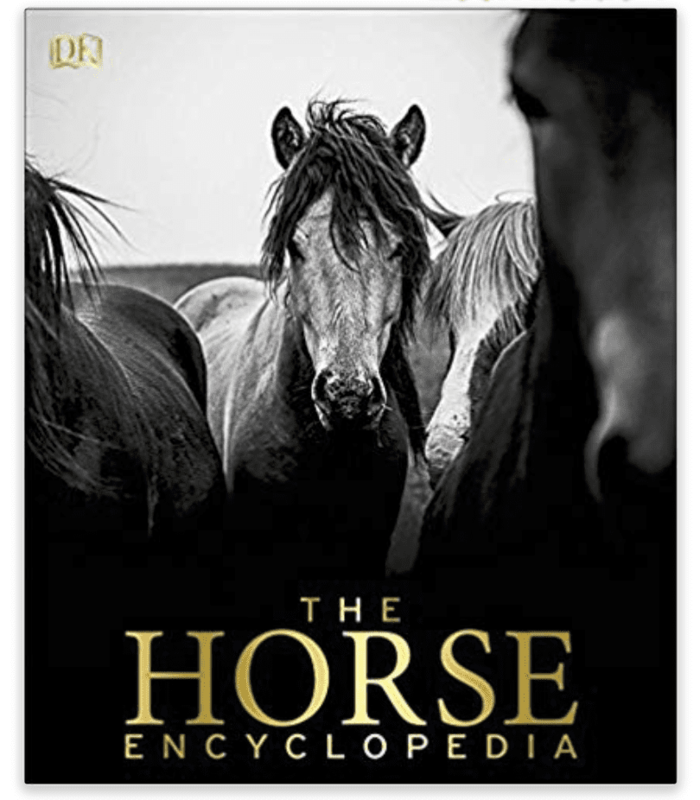 A horse encyclopedia is a great gift idea for a horse crazy kid who loves to read, too! Available here. What little girl doesn’t love a good wall calendar with their favorite animal on it? 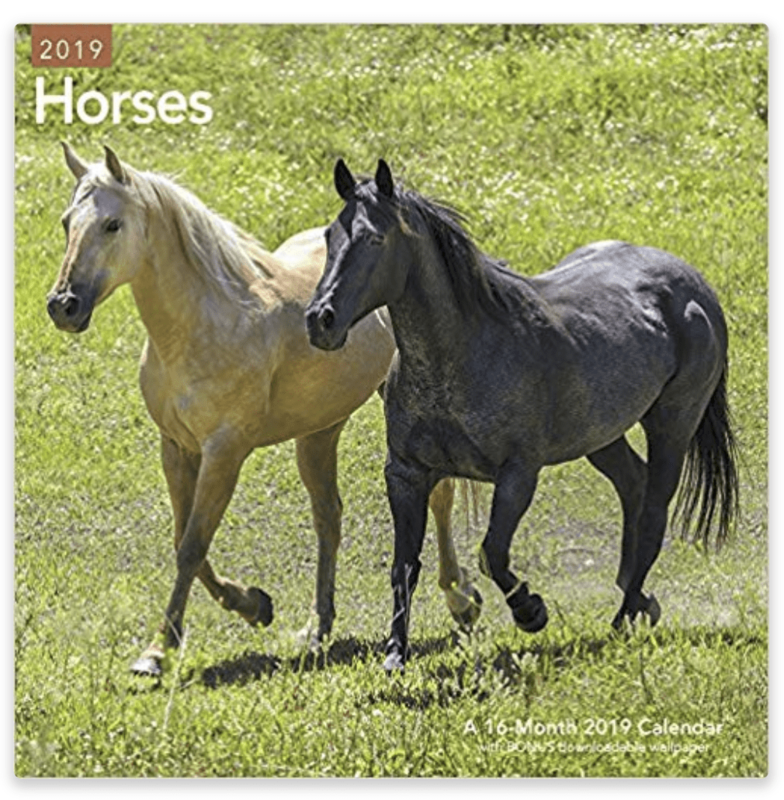 This pretty wall calendar will give your little equine enthusiast a new horse to feast her eyes on for all twelve months of the year. Available here. 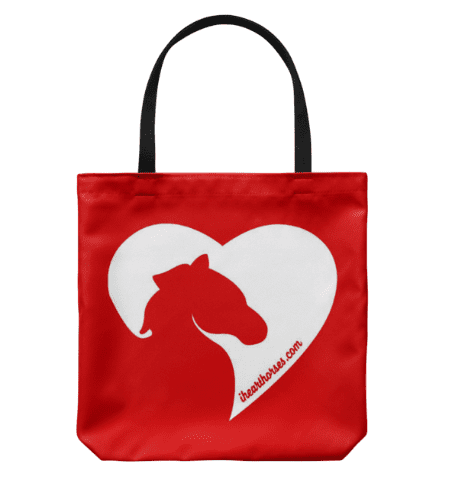 Whether she’s throwing in books, toys, or clothes, this tote bag is super cute and a fun way to display her love for horses wherever she goes. 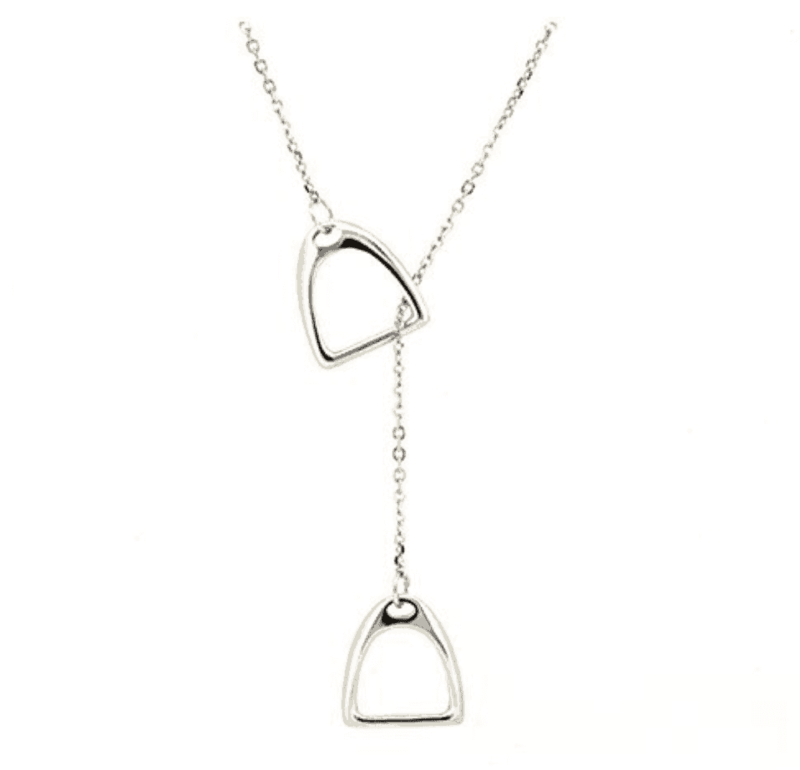 Available exclusively on the iHeartHorses store! 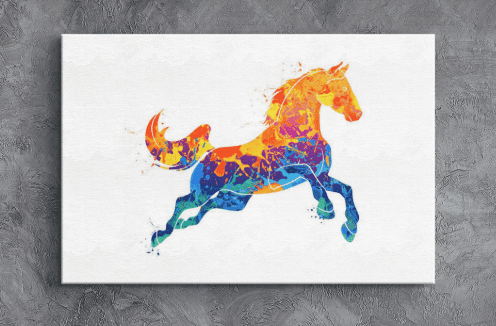 With different sizes to choose from, this pop of equine color would look lovely right on her bedroom wall. Available exclusively on the iHeartHorses store! 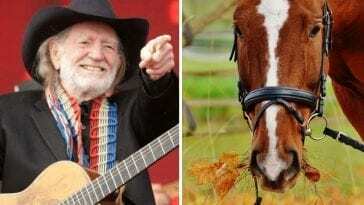 Let her rest her pretty head each night on this this handsome horse! Available exclusively on the iHeartHorses store!